What's happening in Malaysia? Are we witnessing some conspiracy to break the head of this emerging economic power, or something else? As readers may recall, the Malaysia Airlines Flight MH17, en route from Amsterdam to Kuala Lumpur, crashed after being hit by a Russian-made Buk missile when it was travelling over the conflict-hit region over eastern Ukraine on 17 July 2014. Three months earlier Malaysia Airlines Flight 370 (MH370/MAS370) disappeared on 8 March 2014 while flying from Kuala Lumpur to Beijing. 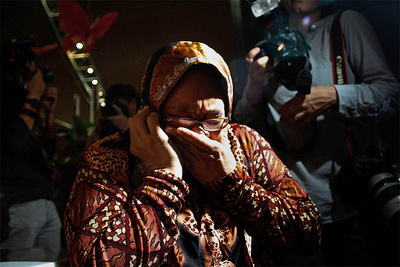 The aircraft, a Boeing 777-200ER, was carrying 12 Malaysian crew members and 227 passengers from 15 nations. Its cause of disappearance still remains a mystery. Before those unfortunate disasters, Malaysian Airlines had one of the best safety records — just two fatal accidents in 68 years of operation, including the hijacking in 1977 of Flight 653 that resulted in 100 deaths. Those accidents exacerbated the airline's financial troubles and led to the renationalization of the airline. Well, Malaysia is now hit by another major disaster whose impact internally may dwarf those two disasters in the sky. It involves scandals surrounding 1Malaysia Development Berhad (1MDB) - Malaysian government investment fund - founded in 2009 (and closely overseen) by Prime Minister Najib Razak. According to civil lawsuits filed by the US Justice Department, more than $US 3.5 billion was allegedly misappropriated from 1MDB. According to the Justice Department, the money followed a circuitous path among private banks, offshore companies and funds that originally sent it to Mr. Najib’s accounts, and from there it was used to fuel other investments and spending by a Malaysian financier Low Taek Jho, popularly referred to as Jho Low. A portion of the money from 1MDB passed through Saudi Arabia on its way to Mr. Najib's accounts and $80 million appears to have been transferred by the Ministry of Finance in Saudi Arabia. The origin of the rest of the Saudi money is still under investigation. According to a Wall Street Journal (WSJ) report, roughly $1 billion landed in the private bank accounts of Malaysian Prime Minister Najib Razak, which the civil suits also seek to seize - the largest case to date in the US Justice Department's Kleptocracy Asset Recovery Initiative. Mr. Razak has previously ­acknowledged a similar amount went into his accounts before the 2013 general election. He said the money was a private donation from the Saudi royal family and most of it was later returned. Among those identified in the US suit was Najib’s stepson Riza Aziz and his associates. The US did not name any individuals as ­defendants. The money was raised on three separate occasions and took three separate paths, sometimes flowing directly, while in other cases it split and took different routes, only to be reunited in the AmBank accounts according to the Justice Department complaint. The cash flowed through Singapore, Switzerland, Saudi Arabia, Thailand, the Seychelles, the British Virgin Islands and Curaçao. Other funds disappear, often into accounts controlled by other players in the scandal, the complaint said. Here below are some useful information from the WSJ on how the money got transferred. Transaction 1: 1MDB borrowed about $1.8 billion for a joint venture with Saudi oil company PetroSaudi International Ltd. About $1 billion of the cash went to a Seychelles company called Good Star Ltd. A co-founder of PetroSaudi, Prince Turki bin Abdullah, received $24.5 million from Good Star before transferring $20 million to Mr. Najib via an intermediary, according to the Justice Department and a person familiar with the U.S. investigation into 1MDB. The same intermediary sent other funds into Mr. Najib’s accounts, bank transfer documents show, but the origin of the funds is still under investigation. PetroSaudi, Prince Turki and Prince Faisal did not respond to requests for comment. Transaction 2: Two bonds worth a total of $3.5 billion were sold for 1MDB by Goldman Sachs to fund the purchase of power plants. After paying a substantial fee to Goldman, 1MDB was supposed to pay money for a guarantee on the bonds to a unit of Abu Dhabi's International Petroleum Investment Company called Aabar Investments PJS. Instead, the funds went to the similarly named Aabar Investments PJS Ltd., a British Virgin Islands registered company that IPIC says isn’t part of its corporate structure, which received billions of dollars from 1MDB entities over the years. The money was then distributed to beneficiaries of the alleged fraud, according to the Justice Department. From Aabar BVI, about $637 million went to a company called Blackstone Asia Real Estate Partners in the British Virgin Islands, where it was pooled with other funds. Blackstone has no connection to the Blackstone Group, the New York private-equity firm. Another $463 million went from Aabar BVI to two mutual funds in the Caribbean island of Curaçao and then onto Blackstone Asia Real Estate Partners, which transferred a total of $170 million to Mr. Najib’s bank accounts in multiple transactions during 2012, bank transfer documents show. Transaction 3: 1MDB sold $3 billion in bonds via Goldman Sachs to fund a real-estate joint venture with Abu Dhabi. Immediately after paying Goldman Sachs its substantial fees, 1MDB transferred nearly half of the cash to a series of funds, shell companies and other intermediaries located in the British Virgin Islands and Curaçao. Eventually $1.27 billion ended up in a British Virgin Islands company called Tanore Finance Corp. Tanore transferred $680 million to Mr. Najib’s accounts. A few months later, $620 million was returned to Tanore before disappearing back into a maze of offshore companies, according to the Justice Department and investigative documents reviewed by the Journal. The Last Step involved the four paths into the prime minister’s bank accounts. Of the $1.05 billion Mr. Najib received in his accounts, only $80 million appears to clearly originate with Saudi Arabia, via its Finance Ministry, though the details of that transfer are still unknown. Another $120 million that came via an intermediary based in Saudi Arabia are still under investigation, according to a person familiar with the U.S. investigation. At least $20 million of that $120 million has been traced clearly back to 1MDB by investigators. The remaining $850 million came via Tanore Finance and Blackstone Asia, and has been traced back to 1MDB by investigators, according to people familiar with the probe. Mr. Najib used the money in his AmBank accounts for personal and political spending, according to investigative documents reviewed by the WSJ that detail more than 500 transactions. He wrote checks to politicians in his political party and also paid millions of dollars for personal expenses, including $130,625 at a Chanel store in Hawaii and €750,000 at a jewelry store in Switzerland. Mr. Najib hasn’t acknowledged all of the transfers into his accounts, but he said that $681 million was a legal donation from the royal family of Saudi Arabia. Mr. Najib said he returned most of the funds to the Saudi Arabian donor. 1MDB has denied wrongdoing and said it would cooperate with any lawful international investigation. Prime Minister Najib has weathered persistent calls for him to step down over his handling of the 1MDB scandal, which is also being investigated by at least five other countries. Mr. Najib has denied any wrongdoing and has said the US Department of Justice lawsuit does not involve him. Malaysia's Minister of Urban Well-Being, Housing and Local Government Abdul Rahman Dahlan, however, admitted in a BBC interview that Prime Minister Najib Razak was the mysterious unnamed official who the US Justice Department claimed took part in rampant looting of state funds. The admission confirmed widespread suspicions that Mr. Najib was "Malaysian Official 1" mentioned in a Justice Department lawsuit filed in July. Allegations of a vast international scheme of embezzlement and money-laundering involving billions of dollars of 1MDB money began to emerge two years ago. A Four Corners investigation in March revealed that Malaysia's former attorney-general had planned to lay charges of misappropriation against Mr. Najib shortly before he was sacked. The story made headlines when the Four Corners crew was detained by police for trying to question the Prime Minister over the corruption scandal. In its scathing lawsuit, the US Justice Department detailed how "Malaysian Official 1", family members, and close associates diverted billions from the now-stricken fund. The Justice Department has moved to seize assets including real estate in Beverly Hills, New York and London, artworks by Monet and Van Gogh, and a Bombardier jet that it alleges were purchased with money stolen from 1MDB. The Malaysian opposition and its supporters were already certain that Najib had a hand in money laundering from 1MDB. Within the ruling party - UMNO, Najib has forced out all those who thought the same, so all that is left are loyalists who are either convinced that he is innocent or don’t care one way or another. Other Malaysian government officials said the US suit was part of a wider plot by Najib’s ­detractors to topple a democratically-elected government, with one warning foreign meddling may lead Malaysia to become like Syria or Iraq. Investors meanwhile are focused on the need for stability. The currency has seesawed this year amid an uncertain economic outlook, turning Asia’s best performance in the first three months of 2016 to one of the region’s worst since then. The economy is projected to expand at the slowest pace in seven years amid falling oil revenue and weaker exports. For Najib, economic stability is crucial as he seeks the votes of rural and semi-urban areas in the next election due by 2018. At stake for UMNO is the un­broken rule of its National Front coalition since independence in 1957. He’s had recent wins in local polls in Malaysia’s biggest state of Sarawak on Borneo Island and two federal by-elections. While the 1MDB drama has raised doubts about governance and accountability in Malaysia, the structure of domestic politics is likely to protect Najib. His mentor-turned-nemesis Dr. Mahathir Mohamad, who was premier for over two decades, has repeatedly said UMNO will lose the next election if Najib remains the party leader. It is worth noting here that Dr. Mahathir Mohammad has repeatedly called for Najib's resignation. Half a year ago, he also sued Najib for abuse of power and corruption. As long as Najib retains the backing of UMNO’s powerful div­ision heads fresh protests will carry little weight to unseat him. The views of those chiefs will become increasingly important closer to an election, depending on whether they feel Najib can carry the party to another win. Some economists have said Najib may consider an early election for 2017 to take advantage of the ­opposition infighting. My earlier trips to Kuala Lumpur years ago had left an indelible memory about the country and its energetic people. I felt proud of the achievement this south-east Asian nation has made in spite of all those airline disasters. It is sad to see now the level of corruption in Malaysia at the highest level. This scandal once again shows that the greatest threat to an emerging economy is often corruption and incompetence in administration. Malaysian civil society must now take firm and immediate action to put the country back on track. If not, the country will tragically end up as the perfect case study into how the problems stem primarily from domestic crime and corruption.